Guys are pretty easy to shop for. Most of the time, you can just get stuff you’d buy for yourself. Here’s a grab bag of Father’s Day gift ideas geared towards looking good and improving your daily life. And for more great suggestions, be sure to check out the other categories in our annual gift guide. Just because you have kids doesn’t mean that you still can’t enjoy the great outdoors, and with the Burley D’Lite bike trailer, your little ones will be begging you to take them wherever you go. The company’s top-of-the-line model is loaded with premium features to maximize comfort, performance and safety, including a full internal aluminum roll cage, seating for one or two children (up to 100 lbs. ), adjustable suspension for different terrains, and Spring Integrated Technology seating to prevent tangled and limp straps. The D’Lite also features a water resistant cover and zippers, UV protection windows, an adjustable sunshade, interior pockets for things like snacks and toys, and a spacious rear cargo area for bigger items. This is the Cadillac of child bike trailers, and that’s before even mentioning its ability to convert into a one- or two-wheel stroller, jogger or sled. More importantly, the D’Lite provides a smooth ride that distributes passenger weight remarkably well and easily breaks down for storage and transportation. 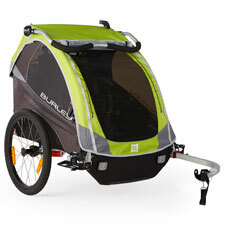 Though Burley has an excellent range of bike trailers that fit most budgets, this is one of those rare instances where splurging for the high-end model is totally worth it. Yard work doesn’t have to be fun, but it can at least be a little less miserable with the right tools from Husqvarna. We reviewed their AWD lawn mower a few years ago and were very impressed with the quality and performance, so it’s no surprise that this battery-powered trimmer continues the company’s tradition of delivering first-rate products at reasonable prices. Lightweight and easy to use thanks to its intuitive keypad, the 136LiL is powered by a 36-volt lithium-ion battery that is interchangeable between all Husqvarna handhelds (like chainsaws and leaf blowers) and features an eco mode called savE that extends battery life during less demanding projects. It’s also one of the quietest trimmers we’ve ever used, and it does so without surrendering performance. In fact, it boasts 25% higher efficiency than a standard brush motor, all while reducing the vibrations caused by a gas-powered trimmer. To say that the Husqvarna 136LiL is a massive improvement over our current trimmer is an understatement, but buyer beware, because once you own one Husqvarna product, you’re going to want to replace everything else in your garden shed as well. Walk into any liquor store and you’ll see hundreds of options. You can zero in on your dad’s favorite drink when picking a gift, or you can get creative and choose something he wouldn’t buy for himself. And for more great suggestions, be sure to check out the other categories in our Father’s Day gift guide. There’s something so American about a “frontier”-inspired bourbon that sounds like it can be shot from a gun. And this bourbon comes with all the backstory one would hope. Dating back to Louisville, Kentucky in the 1830s, Augustus Bulleit tinkered with a high rye content recipe until he mastered the perfect bourbon. But it was almost lost forever along with Augustus himself, who mysteriously vanished while transporting his precious barrels to New Orleans, never to be heard from again. Lying dormant for 150 years, the recipe found a new place to settle in our modern day. 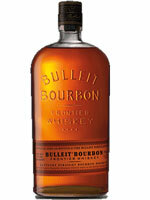 Built on a mash bill of malted barley and corn, we love a bourbon that also packs in the rye (28%). Spicy and bold upfront with an adequate burn from its 90 proof character, Bulleit Bourbon finishes dry and clean, with tones of maple, oak and nutmeg. Your dad may not may wear flannel shirts or build log cabins in his free time, but we think this bourbon will make him feel as though he’s still blazing new trails. What exactly is Polugar, you ask? Obscure and mysterious, one would be amiss in mistaking it for vodka. Rather like the Russian greats themselves – Ivan the Terrible, Fyodor Dostoevsky and Anton Chekhov, who all imbibed it – this white distilled liquor is far more intriguing than that. Resurrected from recipes of old, ‘breadwine’ has not been subjected to the double, triple and even quadruple distilled practices that strip away all character and imagination. Instead, the wheat, rye and caraway base are formally invited to coexist and contribute to a pronounced and distinctive flavor profile that lingers on the palate. 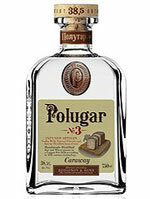 Delicately soft and powerfully reminiscent of rye bread, Rodionov & Sons Polugar No. 3 is delightful to sip, enjoy and dream of bygone eras. Inspired by recipes handcrafted for Russian nobility, a few glasses will have you saying, ‘Vashe zrodovye!’ And what father doesn’t deserve an experience like that? Gadgets dominate our everyday lives, so a good starting point for your gift shopping is with dad’s phone. If he has the latest and greatest model, don’t bother, but if it’s been a while since he upgraded, he’ll probably appreciate a new iPhone or Android device. If you’re looking for something a little different, however, we’ve put together some ideas for you. And for more great suggestions, be sure to check out the other categories in our Father’s Day gift guide. A Fitbit can be a great gift whether dad is already into fitness or needs a nudge to take better care of himself. It’s available in a wide variety of colors, and it’s a great gadget to track daily progress for all types of health and fitness measurements. It’s a particularly good tool for someone who needs to be reminded to be more active. Does that sound like someone you know? 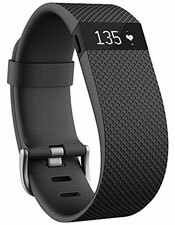 The Fitbit Charge HR is the brand’s most popular model and can track workouts, heart rate, distance, calories burned, floors climbed, active minutes and steps taken. It can also sync stats wirelessly and automatically to your computer and smartphones, as well as monitor your sleep automatically and wake with a silent alarm. 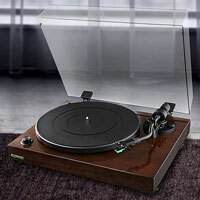 Vinyl has made a huge comeback, and dear old dad may love a new turntable if he held on to his old record collection. Sure, we all loved the convenience of compact discs, iTunes and then streaming, but the rich sound of a vinyl record on a great turntable and stereo system is hard to replicate. Fluance has just introduced its new RT80 and RT81 turntables that leverage the company’s extensive experience in audio engineering, signature sound and impeccable design. These belt-driven turntables utilize styluses that provide freedom from noise and distortion, clarity on musical peaks and channel balance. Pick up some new vinyl records for his favorite bands as well and enjoy some great music on Father’s Day. Everyone loves watching a great movie or TV series, so we’ve compiled some of our favorite releases from the past few months that most guys will enjoy. And for more great suggestions, be sure to check out the other categories in our Father’s Day gift guide. 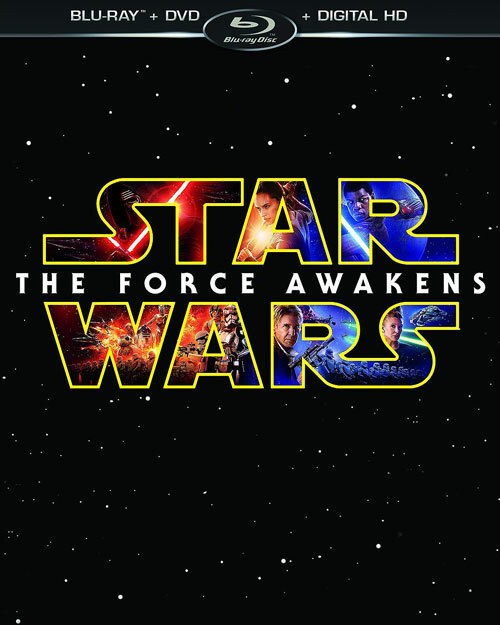 “Star Wars: The Force Awakens” is an exciting return to form for the franchise that recaptures the childlike sensation of watching the original trilogy for the first time. It’s thrilling, funny and surprisingly emotional. While the inclusion of familiar faces like Han Solo, Chewbacca and Leia is great fan service that also functions as a passing of the torch to the new characters, director J.J. Abrams never lets you forget that this is their movie. Daisy Ridley, John Boyega, Oscar Isaac and Adam Driver all shine in their respective roles, although it’s playful droid BB-8 who ultimately steals the show. If there’s one complaint, it’s that Abrams packs too many characters into the story, resulting in several unanswered questions that are dangled in front of the audience like a carrot on a stick. But those kinds of mysteries have always been a part of the “Star Wars” ethos, and “The Force Awakens” is “Star Wars” to the core, blending the old with the new to produce an excellent continuation of the saga that leaves you wanting more. Quentin Tarantino’s first crack at making a Western may have resulted in the slightly disappointing “Django Unchained,” but his second attempt is a much-improved genre piece that represents his most accomplished work behind the camera to date. While Kurt Russell, Jennifer Jason Leigh and Walton Goggins all deliver excellent work, Samuel L. Jackson’s show-stopping turn is the real standout, chewing up scenery with every juicy monologue and sly look. Granted, the first half of the film moves like molasses as Tarantino gets all of his pieces on the board, but the pacing is intentional, slowly building to a boil that spills out into a flurry of violence in the final hour. 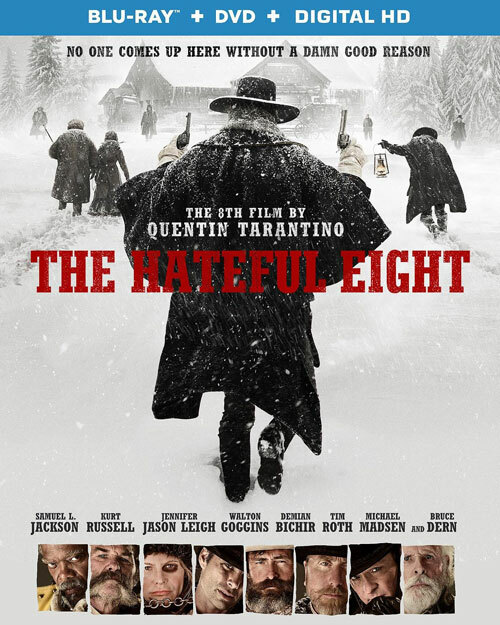 Though “The Hateful Eight” is filled with the same self-indulgent tendencies that fans have come to expect from the director’s movies, this Agatha Christie-styled whodunit is a lot of fun thanks to a smartly crafted script, some outstanding camerawork that benefits from the 65mm film format, and riotous performances from the cast. 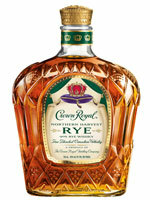 The good folks at Crown Royal have introduced the brand’s first-ever blended rye whisky, so this is something delicious and unique that you can pick up for dad. As you would expect from Crown Royal, this whisky is very smooth. It’s crafted from 90% rye and tastes great either neat, on the rocks, or in traditional rye cocktails like a Manhattan or Old Fashioned. It also comes in that beautiful Crown Royal bottle that makes any bar look classy. This is an awesome gift for anyone who appreciates premium tequila or enjoys flavored liqueurs. This delicious new offering from Patrón is a spicy and sweet liqueur that is perfect as a sipping drink to savor and enjoy, or as a shot to get the party going. 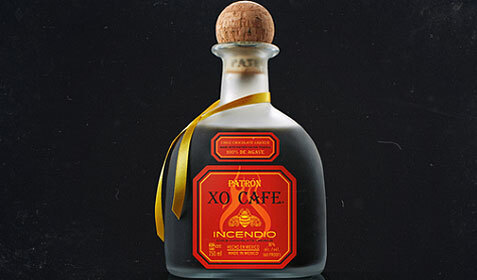 Patrón XO Cafe Incendio starts with Patrón Silver tequila and draws its flavor from the spicy Mexican arbol chile along with the sweet richness of Criollo chocolate. We recommend drinking it straight after chilling the bottle in the refrigerator. You can also use it for cocktails, and as a kicker, to spice up your coffee or hot cocoa in the winter months. You can keep a bottle in your fridge year-round as a permanent addition to your home bar.